Lack of diversity makes more workers more likely to leave, how can companies remove bias in hiring? - AnyGood? Report Shows Staff Will Leave If Employers Do Nothing on Diversity, Is The Hiring Process At Fault? As you may have realised from my blogs, I’m passionate about the hiring of talent being an equitable process with a level playing field for all candidates. To this end, AnyGood? has been created as a platform which aims to remove bias in hiring, and give people a chance at securing roles based on merit alone. Thankfully, I am not alone in these beliefs, and diversity seems to be becoming more important than ever for UK professionals. 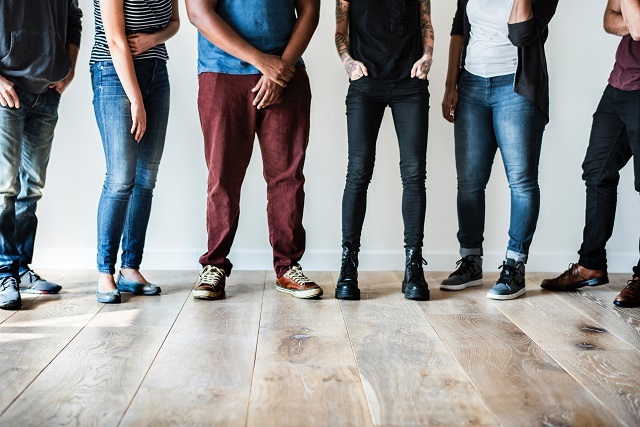 In fact, a report this week from the Boston Consulting Group revealed that workers who believe their employer has failed to make any progress on diversity and inclusion (D&I) in the past three years are three times more likely to leave their job. However, the report also states that almost half of UK workers say their employer has failed to make any progress on D&I in the past three years, showing the problem is still very much alive. While it’s truly encouraging to see that people take diversity into account when choosing where to work, what is really needed to tackle the issue is a complete overhaul of hiring practices, so that diversity can be facilitated at the earliest possible point in the recruitment process and completely homogenous workforces don’t have to exist in the first place. Unfortunately, traditional recruitment processes are deeply susceptible to bias and discrimination. This bias in hiring has been demonstrated time and again across different cultures and settings. For instance, a study from the University of Toronto where researchers distributed nearly 13,000 fake resumes to over 3,000 job listings found that Chinese, Indian or Pakistani-sounding candidates were 28% less likely to be offered an interview than fictional candidates with English names, even with identical qualifications. Another study from the French government last year found employers were less likely to interview candidates with North African-sounding names, and a 2012 UK parliamentary study which found that women who ‘whitened’ their names had to send half as many applications to get an interview than those with ‘foreign’ names. It may go without saying, but there are huge, tangible business benefits to increased diversity, with McKinsey research showing that ethnically diverse companies are 35% more likely to outperform their non-diverse counterparts, and the American Sociological Association claiming that every 1% increase in racial diversity will bring a 9% rise in sales revenue. The recent McGregor-Smith Review suggested that utilising the full potential of black and minority ethnic individuals could contribute £24 billion to the UK economy after a year. The incentive to diversify workforces is, then, patently obvious. The problem is, that many solutions are too ‘top down’, basic or superficial to have real success. Take for instance, forced diversity training and its effect on the proportion of women and minorities in management. In the USA , during a five year study of compulsory diversity training at 829 companies, the share of black women decreased by nine percent on average, while the ranks of Asian-Americans also shrank by 4-5%. Research published in the Journal of Organizational Behavior has also found that many people respond to compulsory training with anger and resistance, and sometimes report even more animosity toward certain groups afterward. What is really needed is a complete overhaul in practices to ensure that bias in hiring is no longer present, and the talent brought on board is diverse in the first place. But how can we achieve this? While we are challenging the recruitment industry for the sake of equality, fairness and honesty, our system also empowers those on the platform to monetise their networks. At AnyGood?, we pay a finder’s fee to anyone referring an individual who is successfully hired, with members receiving a £1,500 share of the fee, and enjoying an additional 10% profit share in AnyGood? based on their activity and value to the platform. Therefore, instead of having thousands of LinkedIn contacts, or a phone full of valuable connections just lying dormant, with AnyGood? you can help them out by recommending them for select roles while benefitting financially. What we’ve tried to create is a win-win situation for all involved, from hiring managers to candidates and members, and this is a very exciting thing to be a part of. While there is so much to be done in order for our workforces, recruitment practices, and attitudes to be fully free of discrimination and bias in hiring, there are a lot of positive steps being taken in the right direction. The fact that so many people are prioritising diversity as a characteristic of somewhere they want to work shows that the desire for change is there, however achieving this through traditional hiring method simply won’t work. At AnyGood?, we’ll be doing as much as we can to help, starting tomorrow, when we’ll be facilitating an exciting diversity event kindly hosted by PwC, to discuss these very issues. Stay tuned!